Pennsylvania International prides itself on attracting contestants that are the proverbial "total package". Overwhelmingly an interview/platform based system, Pennsylvania International titleholders still present a poised, confident physical appearance while comfortably filling the role of a pageant spokesperson as well as an ambassador of their platform or cause. The International system gives contestants a public voice to promote their community service and platform work. Private interview with our judges is the first phase of your road to an International title. On Saturday morning of pageant weekend, you will interview indivdually with each of 5 judges for 5 minutes each. 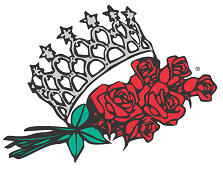 Judges will receive your pageant application and your platform information well in advance of your interview in order to be properly prepared and spend quality time further getting to know you. The other piece of our interview process is our Onstage Interview that occurs during the pageant itself on Saturday evening. Our Fun Fashion competition gives our contestants a chance to "strut their stuff" on stage in an outfit of their choice. Described as dancing with the stars meets the red carpet, this competition really rocks our pageant stage. Upbeat music and the opportunity to really show your personality and stage presence, make this one of the favorite parts of the evening for both contestants and our audience. The Evening Gown phase of the competition is the evening's most elegant. Dressed in a floor length gown of her choice, our contestants will walk a pattern for our judges that will demonstrate their poise and beauty. Mrs. contestants will be escorted by their husbands. The International Pageant was the first of the major systems to remove swimsuits and high heels from their pageant. During the aerobic wear competition, contestants will show our judges panel their dedication to a healty lifestyle. Everyone competes in the same workout attire, giving our judges an even playing field from which to judge. Interview Competition: 40% (of overall score) for Teen and Miss competitors and 50% (of overall score) for Mrs. competitors. Interviews will be conducted between 5 judges and contestant. Each contestant will have 5 minutes with each judge. No political or religious questions allowed. Private interview will be scored 1-15 and the On-stage portion of interview will be scored 1-5. The On-Stage portion will consist of a 30-second platform statement followed by a random (fishbowl) question with 30 seconds to complete the answer. Each contestant will need to have a platform/cause for which she will speak on during her year. Dress for interview is Business Attire. Fun Fashion Wear: 20% (of overall score) for Teen and Miss competitors. (No Mrs. competition). The Fun Fashion Wear portion of the competition is designed to provide each contestant an opportunity to express her own personal sense of style. Fun Fashion Wear attire should consist of something that you would wear on the red carpet or to a dressy celebration like a New Year's Eve party. Think of glitz, glam, and dressy; but not casual or sports wear. It's more fun and flirty than an evening gown and may be a dress or pants outfit. It should not be another evening gown. Each Contestant will wear her own personal choice of fashion wear, but, it must be registered with a photo with the State Pageant Office in order to avoid duplication. Evening Gown: 20% (of overall score) for Teen and Miss Competitors and 25% for Mrs. competitors. Each contestant will wear her own personal choice of floor length evening gown. Each contestant will be judged on grace, poise and elegance in Evening Wear. Gown choice must be registered with a photo with the State Pageant Office in order to avoid duplication. Fitness Wear: 20% (of overall score) for Teen and Miss competitors and 25% (of overall score) for Mrs. competitors. You must wear the official aerobic wear provided with your entry fee paid to the State Pageant Office. You may order either a one-piece or two-piece garment. PLEASE NOTE garments are NOT returnable and we recommend ordering one size larger than normal. Shoes must be a WHITE athletic shoe and be worn with no-show socks and NO PANTYHOSE. Each contestant will be judged on being physically fit, energetic, and healthy. © Alto Associates LLC. All rights reserved.